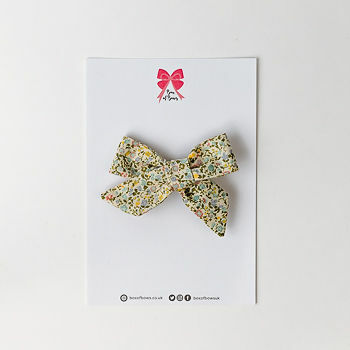 Our Everly hair bow is made from Liberty London fabric in the most delicate of prints. Free delivery. Bunches / sister packs are shipped in a pink bag.